A condition of body and mind, ‘sleep’ is a time during which your nervous system is inactive, your postural muscles are relaxed, and your consciousness is practically suspended. A natural and reversible state, it’s divided into two basic sleep phases: REM (Rapid Eye Movement) and Non-REM (further divided into sub-stages). A healthy, young person’s normal night of sleep typically includes 4 to 5 distinct cycles of REM alternating with Non-REM. Irregular cycling or not cycling at all can result in sleep disorders and vice versa. Some of the biggest culprits that are messing with our sleep include obstructive sleep apnea, circadian misalignment, restless leg syndrome and the biggest of them all - poor sleep hygiene. Sleep is integral for brain health as effective cognitive function and memory are both linked to sleep. Sleep helps to strengthen and stabilise new memories acquired before we go under. It promotes the re-interpretation of fresh memories and their integration into our existing framework of long-term memories. Sleep ensures your brain’s language, attention, reasoning, decision-making and learning centres function at optimum. In one study, humans that were deprived of sleep even showed decreased ability to perform muscle memory activities like riding a bicycle and tying a shoelace. So, if you’re suddenly feeling not as productive as you were at work or find you keep forgetting your grocery list, look at your sleep! Sleep doesn’t just keep you sharp. It also helps your brain’s ‘cleaning crew’ - your lymphatic system and cerebrospinal fluid surrounding it - clear out all the mulch produced during the day. Metabolic waste and beta-amyloids (the things that form plaques in your brain tissue and eventually result in Alzheimer’s and dementia) need to be expelled so you can literally wake up with a clear head in the morning. Also, the later stages of sleep result in an accumulation of a clever metabolite called oxidised glutathione which protects neurons against cell death. In short, you’re cleverer when you get a good night’s rest. How many of your friends, family or colleagues are on an anti-depressant or anxiolytic drug? More than you realise. The dependence and long-term use of these agents has skyrocketed in the last decade. It’s telling that nearly 75% of these patients report having difficulties with sleep. Sleep disturbance is undeniably linked to PTSD, ADHD, generalised anxiety disorder and panic disorder. Even worse, most of the drugs available suppress that all-important REM sleep. Looking for an effective, natural appetite suppressant? It’s sleep! Two hormones involved in the regulation of appetite are leptin which helps tell your brain you’re full and ghrelin which helps tell you that you’re hungry. A study has shown that in sleep deprived young males leptin levels decreased by 18-percent while ghrelin levels increased, causing a significant increase in appetite when compared to levels present after healthy sleep. Arguably the most insidious effect of sleep deprivation is the damage done to the cardiovascular system. If you don’t look after it, you’re setting yourself up for all sorts of negative associated conditions. Things like hypertension, coronary heart disease, heart failure, plaque formation, deep vein thrombosis and stroke are just a few. Healthy sleep supports a healthy immune response, enhancing your body’s ability to recognise incoming threats, remember previous infections and mount an effective response. This is why, when you’re sick, your body’s most basic instinct is to sleep. Lack of sleep, however, can worsen autoimmunity as well as the inflammation that leads to premature ageing. This leads to situations in which the body attacks itself, resulting in autoimmune conditions like rheumatoid arthritis and Grave’s disease, as well as skin conditions like pigmentation. Getting enough good quality sleep will help ensure hormonal system “Zen”. If you don’t, your body will see an increased release of the stress hormone, cortisol. Thyroid function is adversely affected resulting in a haywire metabolism and suppression of reproductive functions. More bad news? 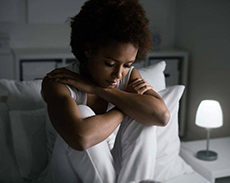 A lack of sleep sees testosterone levels drop while estradiol increases in women of reproductive age and decrease in perimenopausal women. Unbalanced hormones can result in a host of unwanted health situations that include fatigue, decreased libido, inadequate lubrication, decreased fertility, anovulation, recurrent miscarriage, amenorrhea, dysmenorrhea, polycystic ovarian disease and endometriosis. Decreased sleep is associated with gastric conditions like stomach ulcers, IBS, Crohn’s disease, ulcerative colitis and chronic constipation. The gut is the axis of the body so it’s vital that we look after it. A malfunction here is certain to result in a disaster elsewhere. Adequate good quality sleep is the foundation of health and not getting enough of it can be hazardous. If you feel like you’re not sleeping well and can’t figure out why or have an existing sleep disorder that you’d like to treat, make an appointment with one of our doctors at Sleep Renewal. Together, we can help improve your pillow time and get you back on track to good health.